I had the pleasure to interview Dr Stavros Vlizos, the Assistant Director of The Amyklaion: Amykles Research Project. 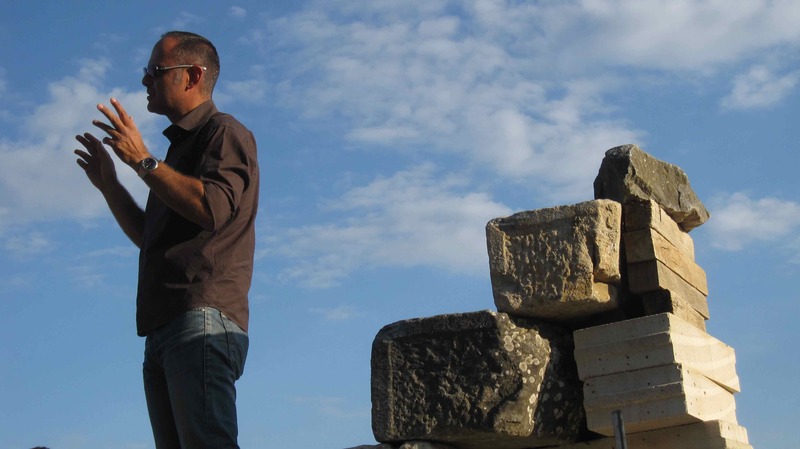 He is an archaeologist, a researcher and lecturer at the Ionian University in Corfu where he teaches courses in cultural heritage management, with a focus on archaeology. His research is focused on topics about Roman sculpture and Roman Greece, and the importance of Greek sanctuaries. Within the framework of the “Amykles Research Project” coordinated by the Benaki Museum he is the Leader of the excavations conducted at Amykles near Sparta since 2005. I contacted Stavros in March 2014 and asked if he could cite my short story, Taras’ Parthenians on the Amyklaion’s website to help promote their work and the awareness of the sanctuary of the Amyklaion to the general public. In my short story the main scene of rebellion between the Parthenians against the Spartans took place at the sanctuary of the Amyklaion. Stavros answered 15 Questions I had about his work directing and organising the project, the purpose of the project, and its aims for the future. This is an interview to commemorate his hard work. This interview was conducted by email in late February 2015. 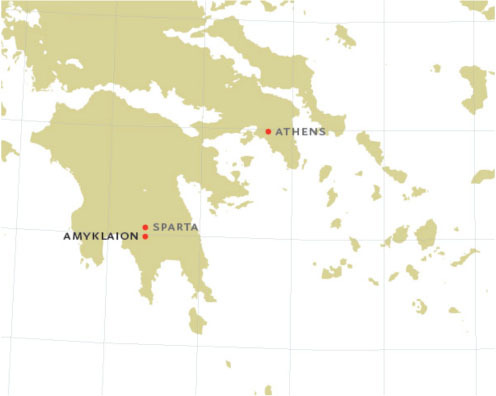 The Amyklaion sanctuary is located at a distance of 5 km south of Sparta and on the hill of Agia Kyriaki, and specifically in the monumental Throne of Apollo. 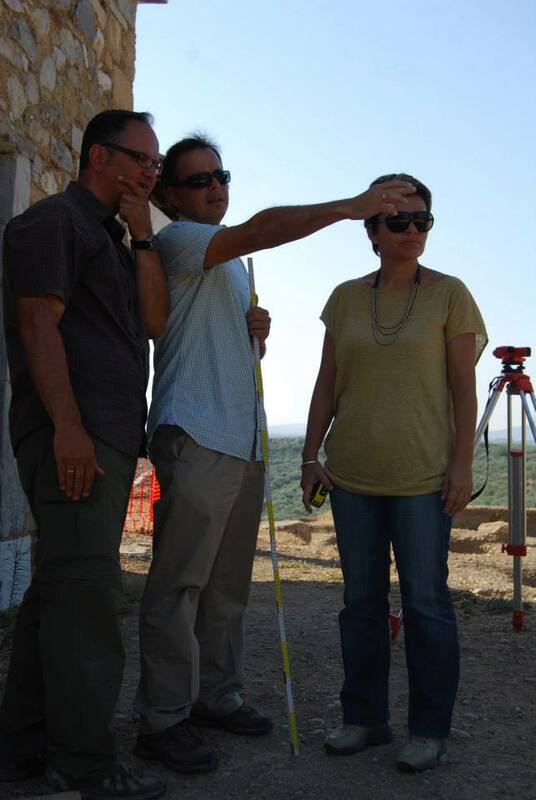 Under the direction of Professor Angelos Delivorrias, with the authorisation of the Ministry of Culture and the collaboration of Professor Manolis Korres, the architects Maria Magnisali and Themistoklis Bilis, the archaeologist Dr Stavros Vlizos and numerous other well-known scientists, an extensive programme of study and research of the sanctuary has been carried out since 2005 to excavate and preserve the archaeological site. The institutions responsible for this project are the Benaki Museum and the Ephorate of Antiquities of Lakonia. STAVROS VLIZOS: I was born in a small suburb of Munich (Germany). The most intense memories from my early childhood concern my passion for the stars (I actually wanted to study astronomy) and football. STAVROS: I decided to become an archaeologist during the first year of my studies at the Department of Archaeology and History at the University of Ioannina. During the second year of my studies, and onwards, I participated in every professional activity of archaeology (excavations, material study, research). Since then it was unquestionable for me to continue PhD studies in classical archaeology, and that finally happened at the Institute of Classical Archaeology of the University of Munich. CLAIRE: When did you first come across the story of the Amyklaion and what drew you to excavate the site and why? STAVROS: After 40 years, in 2005, Professor Angelos Delivorrias decided to re-engage with the Amyklaion and offered me, as his assistant while working at the Benaki Museum in Athens, to participate in the project. Various factors, like difficulties of past research and unanswered questions, led us from the beginnings of the project to the conclusion that a new excavation of the entire area of the ancient site would be crucial for the re-interpretation of the site in terms of architecture, pottery, miniature art, religion and identity issues. CLAIRE: What are some of your most memorable experiences and your most exciting discoveries at the Amyklaion? What contributions have these discoveries had on the research of Ancient Greece? STAVROS: One memorable experience was the unearthing of the lower half of a herm stele of the late 3rd century AD which was incorporated into a small drain channel of a late antique building, back in 2008. And other memorable experiences are the everyday new discoveries of evidence from the study of the architectural material which contributes substantially to the knowledge of ancient architecture. And above all, the contact with the local community and all the groups of visitors to the site while working there have been the most memorable experiences. STAVROS: In 2007 the extended fires over the Peloponnese had a bad impact into the works of the project. STAVROS: The diachronic character of the Amyklaion, a continuous life from the late 3rd millennium BC to the Byzantine era, reinforces every day research concerning the chronological development of the site. CLAIRE: What are the steps to conducting and directing the Amykles Research Project? STAVROS: It was clear from the beginning that the project was based on aspects like collaboration and multivocality. To fulfill the requirements of research we organized a team of colleagues which covered a wide range of interests from art and architecture to religion and new technologies. A second major focus was public archaeology or community archaeology. The project aims to offer to the public educational activities and a functional archaeological site for all groups. STAVROS: As an archaeologist and university teacher I am dealing with cultural heritage in general. Nevertheless, there are two aspects on which I am focused, archaeological sites and Museums. A dream project would be an excavation at a Roman site in Greece (e.g. Nikopolis) as well as creating and forming a new museum. STAVROS: The person who helped me find my way to study at university was my high school teacher in Ancient History. But the true mentor, in any case, who still inspires and helps me, is Angelos Delivorrias, the former director of the Benaki Museum. STAVROS: I would read more. STAVROS: Archaeology in Greece is conducted by two main institutions, the state archaeological service and the universities. Both have offered the most in methodology and research. It is time now to redirect the interest and to focus on the public, the community. A systematic approach to include the wider society into archaeological work and meanings should be the target. STAVROS: I don’t really deal with gods, but, in any case, I prefer Zeus, since he was the subject of my PhD thesis. CLAIRE: Are there any new plans to start another Project in the near future, or your heart is set on the Amyklaion? STAVROS: This year is the beginning of the second phase of the ARP. Until 2019 and the final presentation of the site the Amyklaion will be THE project for me. CLAIRE: Lastly, will there be any conferences (national or international) in the near future? STAVROS: Research is nothing without presenting the results to the audience (specialists and the general public). A conference and a workshop are planned to be held during this second phase of the ARP. For more information about The Amyklaion: Amykles Research Project, visit their project’s website. For more information about Dr Stavros Vlizos and his research visit his page on the project’s website. And you can join the Friends of the Amyklaion Public Facebook Group to receive regular updates. And don’t forget to check out my short story Taras’ Parthenians cited at the Amyklaion’s website.